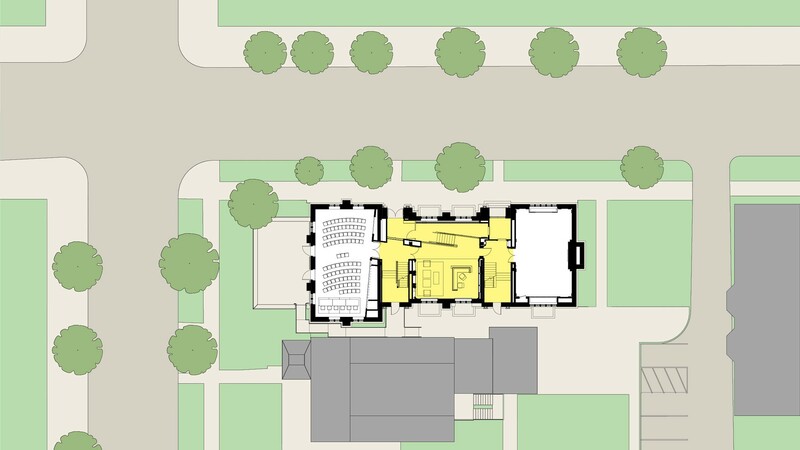 This design gives form to a new vision for global interdisciplinary study, transforming a historic place into an inspiring home for twenty-first-century scholars. 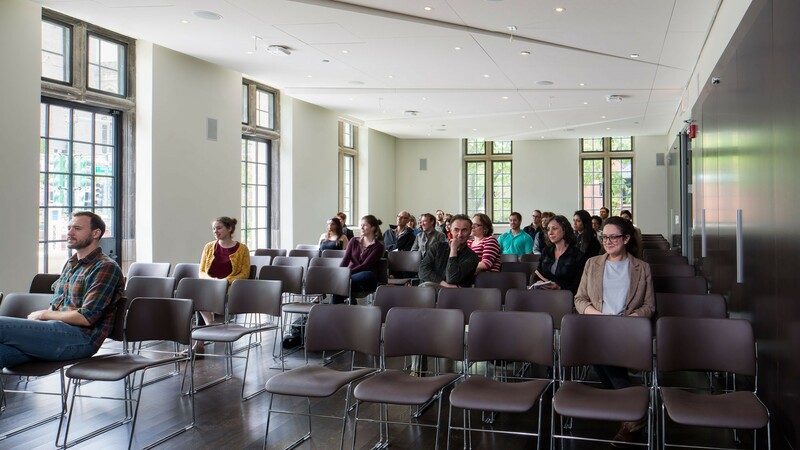 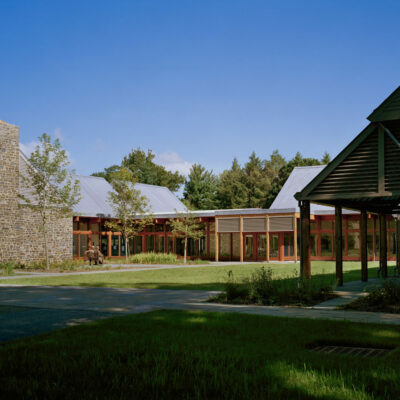 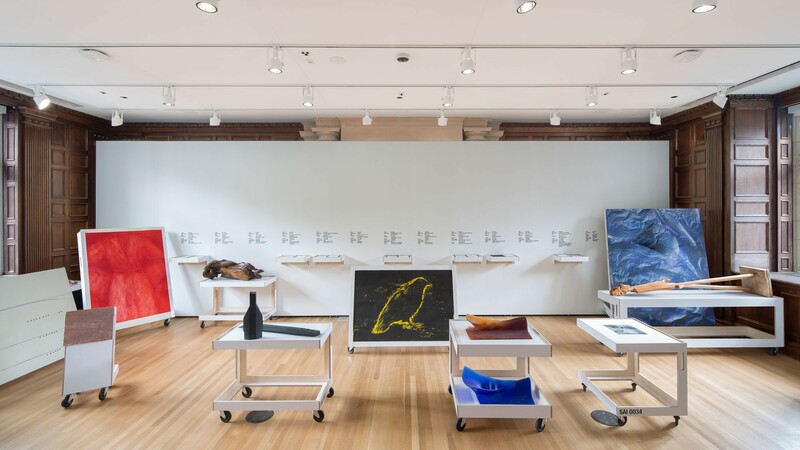 The Collegium welcomes teams of visiting scholars working together on collaborative projects, and offers a variety of public and private spaces in an open and accessible setting. 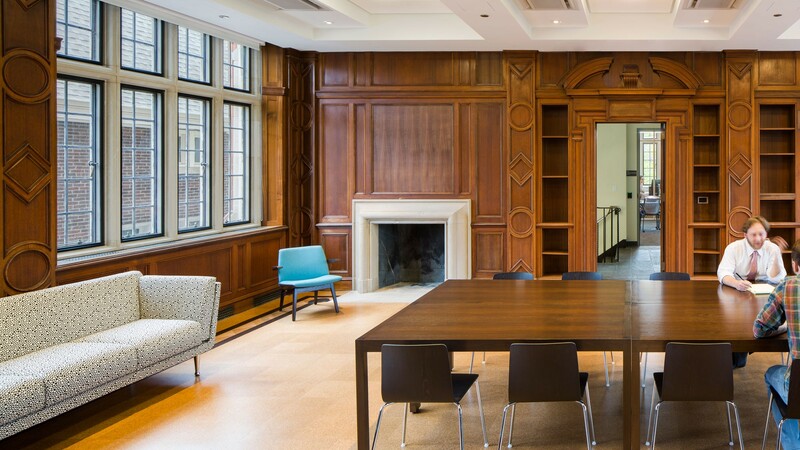 Presentation and exhibition spaces in restored historic spaces invite the public. 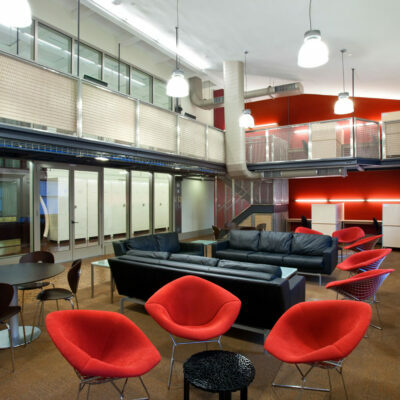 Collaborative studios, workshops and offices for visiting scholars are located on upper floors. 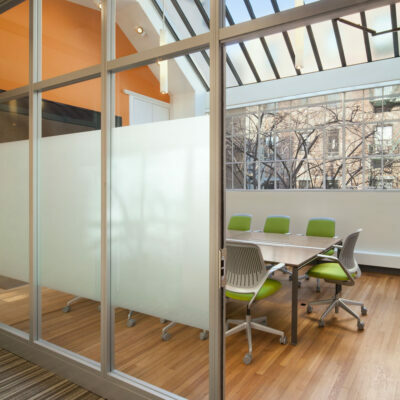 The glass-walled offices are grouped around shared studios. 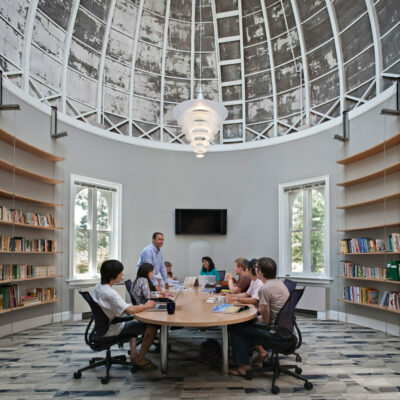 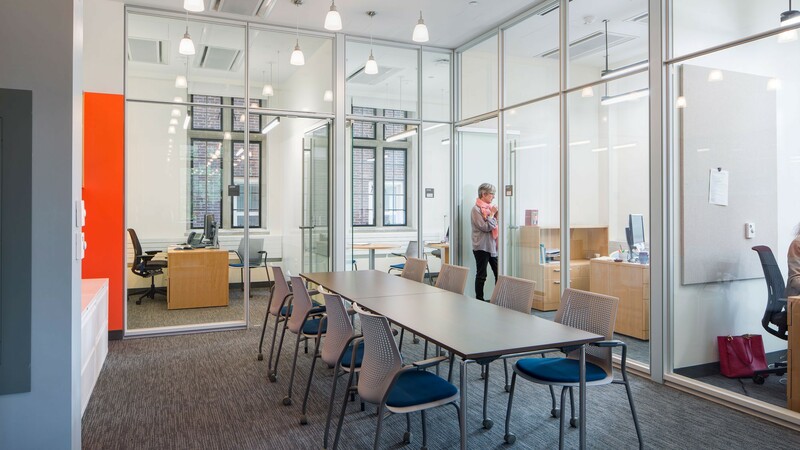 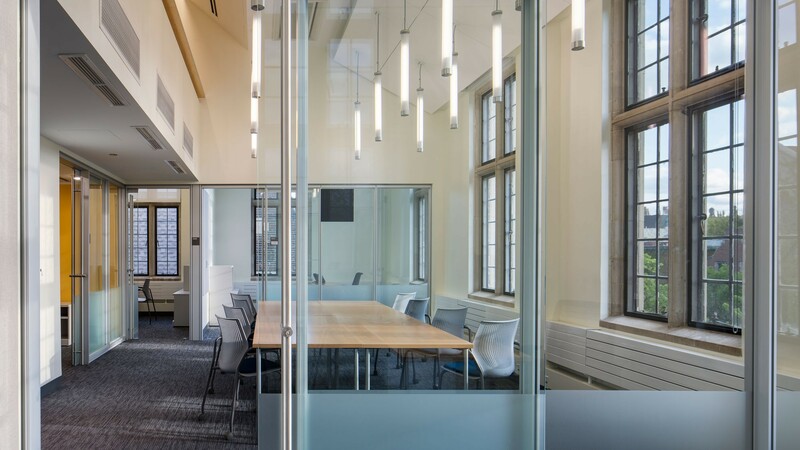 These clusters provide visibility and privacy in a variety of contexts to accommodate a range of work styles and research needs, transforming the traditional building into a modern-day incubator for interdisciplinary research. 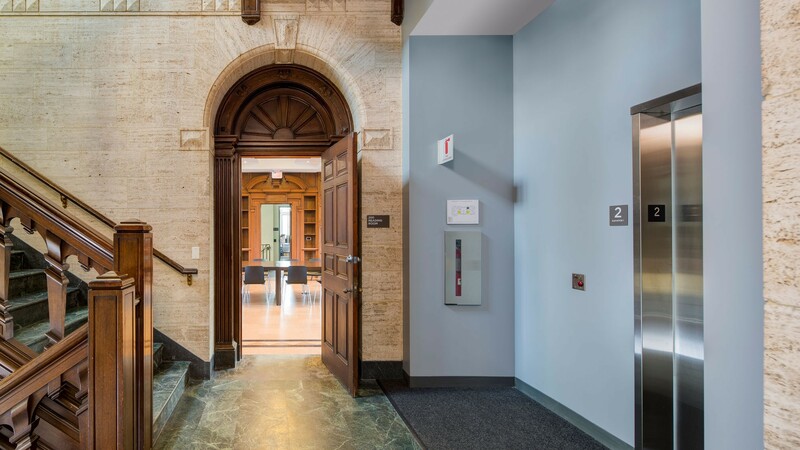 The pyramidal design motif in the marble paneling of the ceremonial stair is transformed into a contemporary pattern for the entrance canopy and the laser cut steel screen at the entrance and stair. 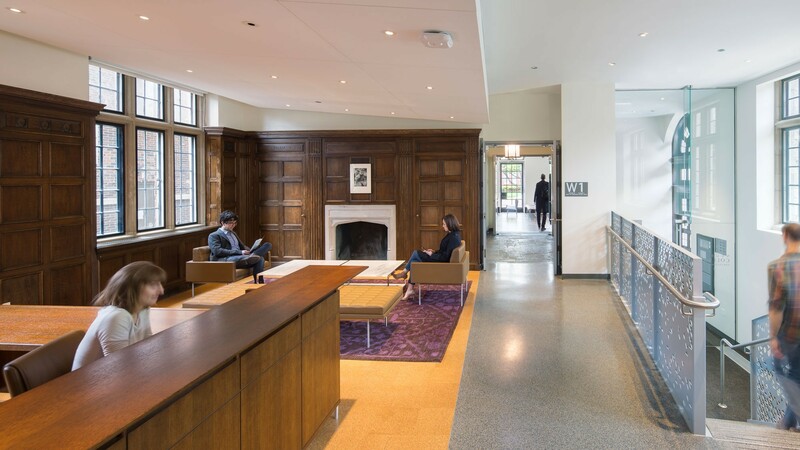 This combination of historic and modern elements is a visual representation of the goals of the institute, bringing together past, present, and future.